Backpacking, Couchsurfing or Becoming a WWOOFer? Being a WWOOF host is not as easy as many people think, especially if you want to get what you expect from those who are eagerly waiting to become your WWOOF volunteers. Apart from offering hospitality, being organized in your work and painting a clear picture of what you have to offer are also important. Following are some useful tips and steps you need to know about if you want to be successful in your WWOOF hosting endeavor. If you follow them, you can easily stay on great terms both with your volunteer workers and with the WWOOF organization you are a member of. First of all, a WWOOF host needs to make sure that his or her farm is organic and ecologically sound techniques are used for growing it. Perhaps the first in terms of importance is the step of offering hospitality: every host has to provide volunteers with proper food, as well as clean and dry accommodation. Also, you should never charge money for these services, since WWOOF is not a monetary exchange. Before accepting WWOOFers, make sure everyone in your home has an open mind about meeting people with different cultural backgrounds and are willing to treat them with kindness and respect. When receiving a request from a potential volunteer, a friendly WWOOF host should always reply, even if just to decline it. Also, once you accepted a volunteer, you have to be open towards answering any inquiries they might have, while also informing them about any changes you make to the agreement. 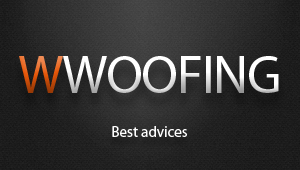 Always make sure that either you or your WWOOF volunteers are properly insured before settling upon any arrangements. If you want to be a good host, you will have to provide your WWOOFers with learning opportunities and hands-on experience that will teach them the required skills and the best organic farming methods. Make sure that all your WWOOFers are members of an official WWOOF organization. See this page to find out more about how WWOOF volunteers are accepted as members. What Should You Expect in Return? Not many people know about all the perks that come with being a friendly and eager WWOOF host. While they can be different depending on your personal preferences and on the specific requests of your country’s national WWOOF organization, you can usually expect volunteers who have a genuine interest in organic farming and are looking forward to learning more while helping you with the promised hours of work, so everything will go much faster and you might even build a solid friendship with your new WWOOFers. Also, you can choose the volunteers you accept, and you will be treated with respect both by them and by the organization itself. Should your expectations not be fulfilled, you can make a complaint that will be taken seriously by the company. As you can see, becoming a WWOOF host is not that difficult, and the advantages are definitely worthwhile; click here if you want more WWOOF hosting advice and specific information about country-based WWOOF organizations. Hello , We are an organic farm in Uruguay. I already tried to do my application, but I don't know if I done it well. I can't find my application, my farm ...help me !! Hi! My name is Charles,I want to volunteer at your farm, it's my first time to do this, by the way i'm from the Philippines, thank you very much for your kindness.